New Zealand Football has announced Tom Sermanni as the new coach of the national women’s team, the Football Ferns. The highly decorated Scot, who most recently coached the Orlando Pride in the NWSL in 2017, is vastly experienced after coaching the Australian Matildas and the USA Women’s Team in a coaching career that dates back to 1988. Sermanni will be straight into work when he names the Football Ferns squad next week to compete at the OFC Women’s Nations Cup in New Caledonia in November. The Ferns will look to qualify for the FIFA Women’s World Cup next year in France and also the 2020 Tokyo Olympics. 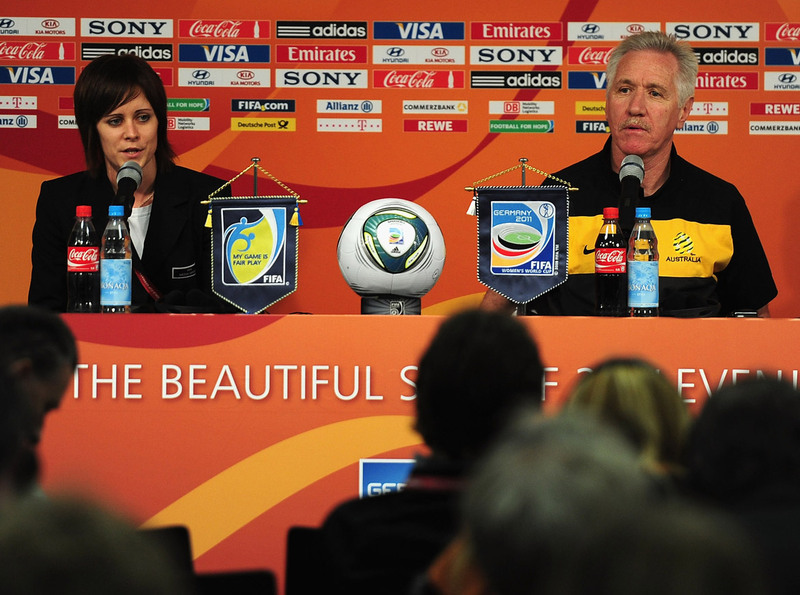 Sermanni will be the Head Coach of Football Ferns until the FIFA Women’s World Cup next year. Andrew Pragnell, the Interim NZ Football Chief Executive, said it was great to have a coach of Sermanni’s experience coaching the Football Ferns in the business end of the FIFA World Cup cycle. “Tom comes to New Zealand with an incredible amount of experience and we are pleased to have coach of his calibre leading the Ferns as they look to qualify for the FIFA Women’s World Cup and compete with the best teams in the world,” said Pragnell. “We completed a rigorous recruitment process and Tom presented a great plan and vision for the Football Ferns. We believe he will do a great job in developing the Ferns over the next nine months and we look forward to seeing what the Ferns can achieve in this period. Sermanni said he is looking forward to getting into work with the World No 20 Football Ferns. They are a team that he knows well and he believes they have huge potential. Sermanni was appointed by an interview panel made up of past Football Ferns, a former Football Ferns Coach and NZ Professional Footballers Association (NZPFA) representation. The panel members were Michele Cox (former NZ Women’s Senior player and former Head of Women’s Football for NZ), Allan Jones (former All Whites and NZ Women’s Head Coach), Kristy Hill (NZPFA representative and former Football Fern), Caroline Beaumont (NZF ExCo Member), Pragnell and NZF Interim Technical Director Andy Boyens. Boyens said that it was important that Sermanni had coached at the highest level of women’s football – with good success with the Australian Matildas and the World No 1 USA. He took the Matildas to two FIFA Women’s World Cup quarterfinals. “Tom has the experience to bring the group together in a short time frame in order to perform to their potential during qualifying and if successful, on to the 2019 FIFA Women’s World Cup,” said the former All White. Former Football Ferns defender Kristy Hill said the NZPFA endorsed Sermanni’s appointment. The OFC Women’s Nations Cup will be held in New Caledonia from 18 November – 1 December. The Football Ferns, who are the defending champions, will face Tonga, the Cook Islands and Fiji in the group stage.